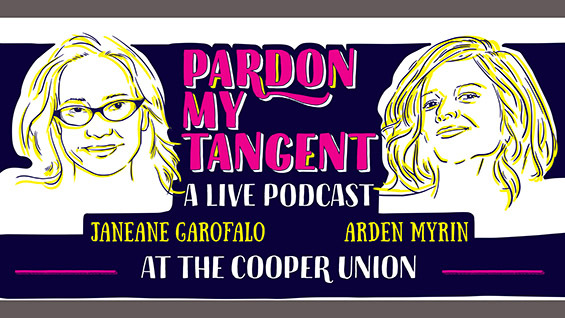 Join actresses/comedians Janeane Garofalo and Arden Myrin for a benefit show and live taping of their podcast "Pardon My Tangent." All proceeds of the comedy and music show benefit The Cooper Union's return to full-tuition scholarships for all undergraduate students. Ticket prices vary and start at $25. Purchase tickets below or visit the Eventbrite page.